At some point in our lives we will all need to consider what we want to happen to our property when we pass away, and this is when most of us are introduced to Inheritance tax. Most people will have heard about it, but the vast majority of us will not be as familiar with the rules as we should be (not least because, we often only get introduced to it when we are in our golden years). In attempting to pass on your property to future generations, you will have to pay a proportion of its value in Inheritance tax. In this guide we set out what the rules for Inheritance tax are, and how they might affect you. How can I reduce the Inheritance tax liability of my estate? Who applies for the reliefs? Inheritance tax is a tax on things that have a monetary value that you pass on to future generations when you pass away. 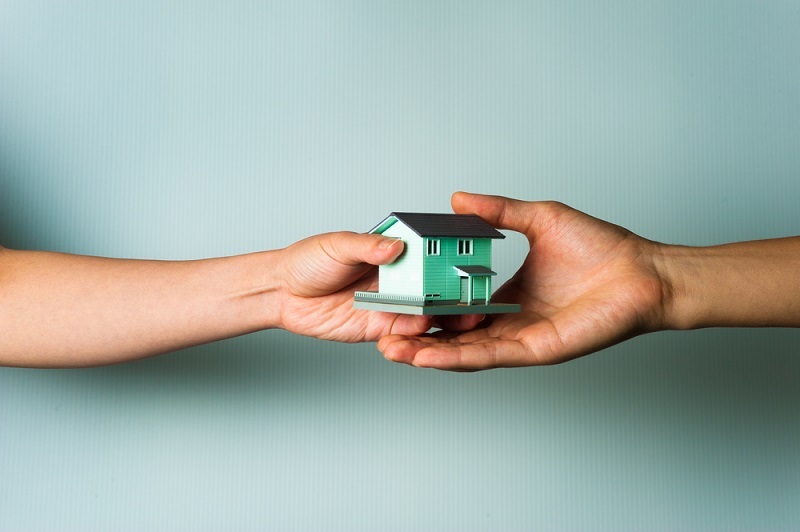 If you are considering leaving some of your property to another member of your family after you die, you need to be aware of the fact that (i) the property will have a monetary value and (ii) there will be a tax that needs to be paid on this. Another important consideration in passing on property through via an inheritance is that it will not be you that has to pay the tax. It is the person that is inheriting your property that will be obliged to settle the inheritance tax bill. The amount of Inheritance tax will be due on inherited property will depend on the value of your 'estate' when you pass away. Your 'estate' is the combination of your property (houses, cars etc), money (including investments) and other possessions (antique furniture, personal possessions). Inheritance tax will apply at a particular rate, and this tends to change from time to time. This will be calculated after you pass away by the Executor of your estate – the person you have chosen in your Will to organise your affairs when you die. The current value of an estate that will attract Inheritance tax is £325,000: If your estate is valued at less than £325,000 then there will be no Inheritance tax due. This is sometimes called the 'nil-rate' brand of Inheritance tax. You may think it hard to have an estate that could be worth up to £325,000, however, when all of your property is taken into account it is actually quite easy to exceed the £325,000 threshold. If your estate is valued above the £325,000 limit, it will have to pay 40% in Inheritance tax. It may sound suspicious, but there are actually perfectly legal avenues available to reduce the Inheritance tax liability that your estate can attract. The basic point to keep in mind is that the only way to pay less Inheritance Tax on an estate is for there to be some kind of reduction in its value before you – the owner of the estate – pass away. Settlor –the person who decides to create a Trust. Trustee - the individual that you identify to take ownership of the estate when you pass away. Beneficiaries – these are the people that you have chosen to benefit from the portion of your estate that has been placed in the Trust. These titles are specific to the law in England & Wales. In Scotland, the Settlor is known as the 'Truster'. There are different kinds of Trusts that can be used. The kind that you use will depend on what you want to be done with the property that you put into the Trust e.g. provide money to benefit your grandchildren and their higher education or provide financial support for certain members of your family over a period of time. Trusts can appear very complex. However the basic point to understand is that by placing some portion of your estate into a Trust, the value of your estate is reduced. As a result the likelihood that the value of your estate will exceed £325,000 is lesser too. You may be surprised to know that depending on what you do with your estate, you may be able to reduce its value by using some of the tax allowances that are available. If you are part of a couple, then there is a likelihood that over the course of your relationship you may have given each other some property. If so, that property will be exempt from having to pay Inheritance tax. There is another important tax allowance available to married couples. This is known as the 'nil-rate band'. If you pass away before your partner, and your estate is valued at less £325,000, then your estate will not be due to pay Inheritance tax. Moreover if there is any remaining value in your 'nil-rate band', this can be used by your surviving spouse. Land, machines or buildings that are used in a business that are kept in a trust that the business had the right to benefit from. It should be noted however that there are certain situations where you will not be able to make use of business relief. These situations include where your company is being wound up, or if it is a not-for-profit business. Business relief will only be available to reduce your estates Inheritance tax bill if you owned the business or an asset in it for at least 2 years before you passed away. The point about these allowances is that by making use of them, the value of your estate is less than the Inheritance tax threshold. Your deciding to give someone a gift out of a portion of your estate is a very easy, and practical way of reducing the value of your estate for Inheritance tax purposes. A loss in monetary value when something is transferred for one party to another: if you as a parent sell a house to a child at less than its market value, the difference in value will be deemed to be a gift. Something will only be deemed to be a gift if you aren't able to enjoy use of something anymore. This covers the situation where you may have a valuable collection of porcelain that you want to pass on to your family. Provided that you do so before you pass away, and are no longer able to make use of the collection, it will not be liable for Inheritance tax. Furthermore the point in time when you give a gift is important for Inheritance tax purposes: you must give a gift, and live over 7 years. If you pass away within 7 years of making a git to someone from your estate, whoever you gave it to will need to pay Inheritance tax on it. The situation becomes complicated where you give a gift which the recipients enjoy, but you also continue to make use of it. If you give your home to your children, and continue to live in it then it will be classified as being your property: you continue to benefit from it so it cannot be a gift. This is otherwise known as a 'gift with reservation of benefit'. Another way of reducing the Inheritance tax liability of your estate is to make a gift to a charity or a museum. Unlike gifts given to members of one's family, gifts to charities, university, museums or community sports clubs are not governed by the 7 year rule. Although it may not be obvious, gifts cover a significant number of what would otherwise be financial payments. They are incredibly useful in reducing the Inheritance liability of an estate. If you hope to give some money to relatives to cover the cost of their care (if they are ill or of advanced age), or want to make a gift of money to a member of your family who is under 18 or in full time education, this payment will not be included when calculating the value of your estate. As you might have noticed a lot of the reliefs that are available to reduce the value of your estate for Inheritance tax purposes tend to activate after you have passed away. Obviously you will not be able to arrange for these reliefs. However the person that you have chosen to organise your affairs after you have died, your Executor, will be able to complete the necessary paperwork to allow your estate to benefit from the reliefs. Inheritance tax issues will be something that most people will not start to consider until they are older. However in order to organise your affairs properly, careful planning will be needed in order to take full advantage of the necessary tax reliefs and allowances that are available. This is sometimes called 'Inheritance tax planning', and should not be undertaken without the guidance of an expert legal advisor who is familiar with the rules governing Inheritance tax. Inheritance tax is a tax on the value of your estate when you pass away. An estate that exceeds £325,000 in value will need to pay 40% Inheritance tax. The reliefs available depend on your particular situation. Part of your estate that is given as a gift must be made more than 7 years before you die, and you must retain no use of it. Trusts allow for part of your estate to be transferred elsewhere, to benefit future generations. Your interest in a business is included in the value of your estate for Inheritance tax purposes, but can this can be reduced. Inheritance tax planning is perfectly legal, but warrants expert advice.